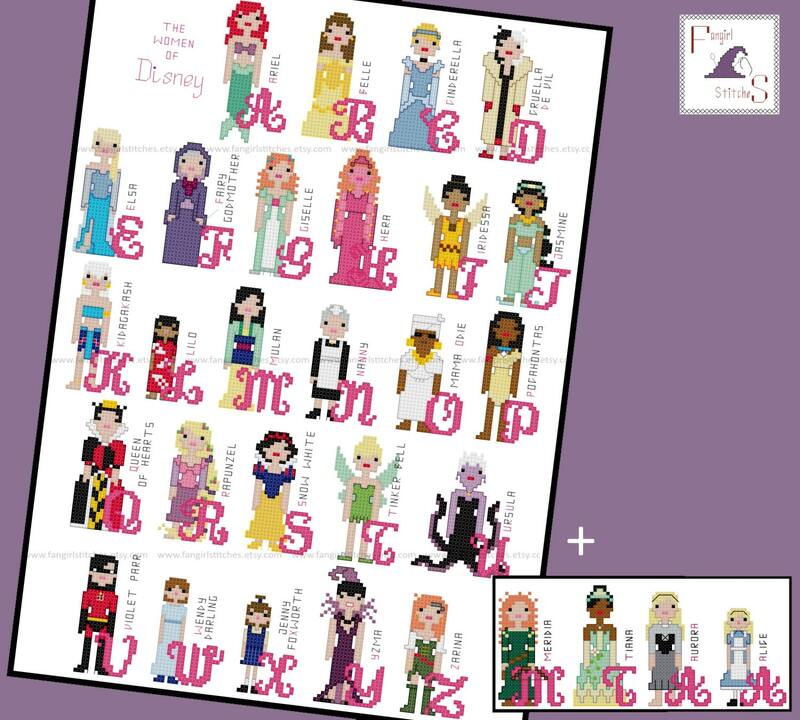 Teach the alphabet with your very own Disney Character alphabet, featuring 26 of your favourite female characters. 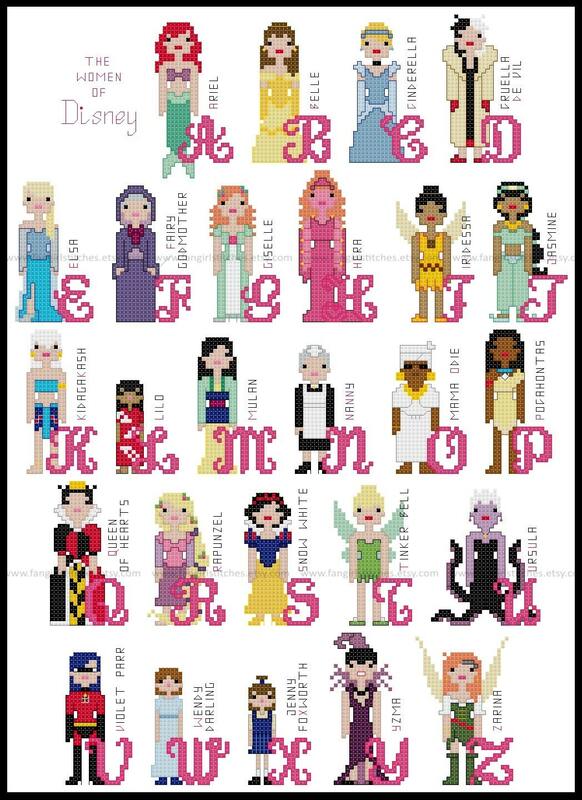 This cross stitch pattern also includes bonus alternative characters for M, T and A because I couldn't choose my favourites! 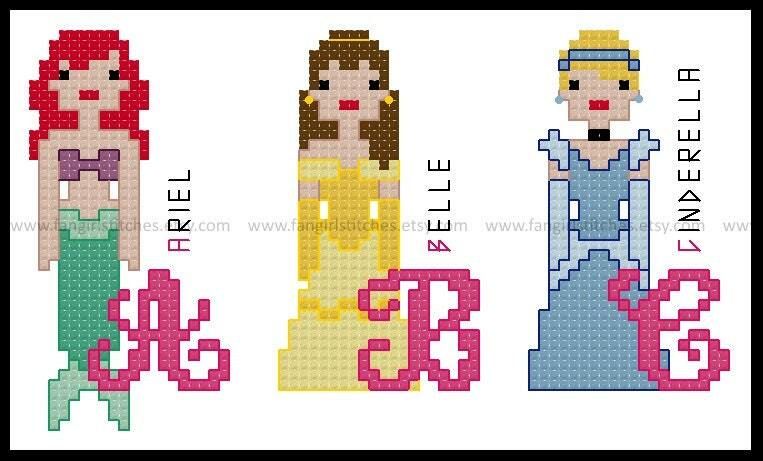 Love the pattern and can't wait to see it finish and hung up.